For the second day of making Flatbreads, I have the Rotli from Gujarat. When I was making the Gujarati Thali, I wanted to make their basic simple bread that I could easily make it myself. Since I was making the thali during a week day, I decided on a simple menu and this one suited me best. 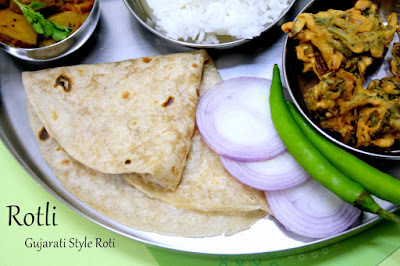 Rotli is quite similar to the Rotis. Everything is the same, except for the texture and thickness. 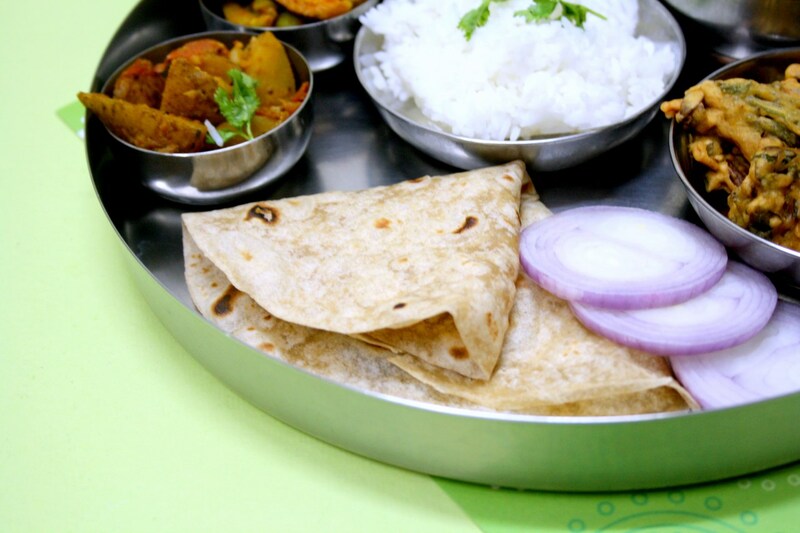 These rotis are rolled out super thin by dusting it with all purpose flour and with adding oil to make the dough softer. When I was discussing the menu with Vaishali, she suggested I could settle with the simpler one. Then while searching I landed in Roshni, who again got the dishes from Vaishali. 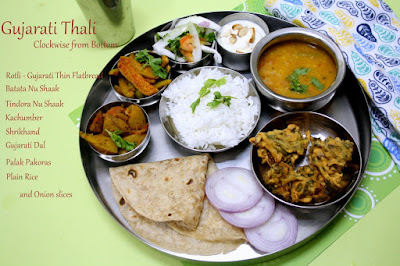 As I said if you find gujju dishes on the net, all would have originated from Vaishali! Anyway the rotis were super soft and super sleek. So much so that one didn't know how many one ate! Take the Wheat Flour in the mixing bowl. Add a tsp of oil and mix well. Add warm water little at a time and knead into a smooth dough. Knead for 5 mins, finally add another tsp of oil and knead once again. Cover and let it rest for 30 min. Divide the dough into 8 small balls. Using a rolling pin, roll the dough into thin circles. Dust with all purpose flour as you roll. Cook on both sides on a hot tawa. You can also cook on flame directly for a puffed rotli. Apply some ghee. Serve with some side dish of your choice.